there seems to be a lot of people looking for a Flight of the Conchords DVD… and they’re winding up on my blog. i suppose since i blogged about them way back when i saw their first HBO special and linked off some mp3’s from that special… and then later pointed out that HBO picked them up for a 12 episode series for Sunday night… Google has been sending searchers my way. Superman Returns – Biggest Box Office Weekend Ever?? 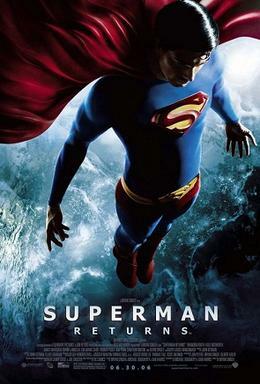 i saw Superman Returns this weekend. it was good… better than i expected after hearing some critics. it was imho better than X-Men 3. i do agree that casting could’ve been a little better… besides Spacey who was perfect. there were many tributes to the older movies… with a nudge of newness… which was cool… but kind of left me feeling like it rode the fence too much. a couple of weeks ago i predicted that Superman Returns would have the largest grossing opening weekend in US box office history… overtaking Spiderman. so far it doesn’t look like that feat will happen… but will know tomorrow… either way i think Warner Brothers and DC will be happy. i just figured Superman would/should/could have a larger audience.